I've been so, so busy with running Beauty & Bobs last month that I even skipped the Christmas blogposts. My favorite posts of the year! I didn't found time to write the posts and photograph them. 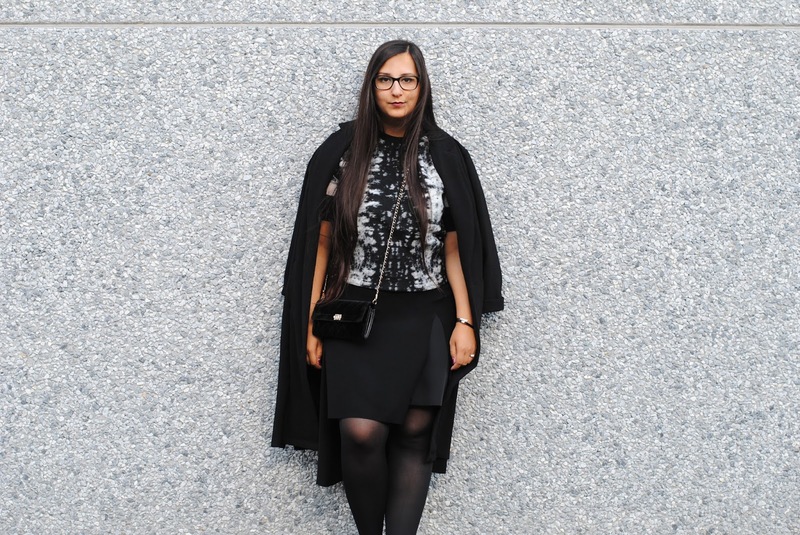 I hope -and think- Beauty & Bobs will only grow bigger, but I will try to take a moment each day to write a new blogpost. These won't be extensively long in writing, more like bitesize reviews and some pretty photos and swatches. Why am I still putting up the gift guide I did photograph, but didn't have the time to write? Because, well, err, because why not! 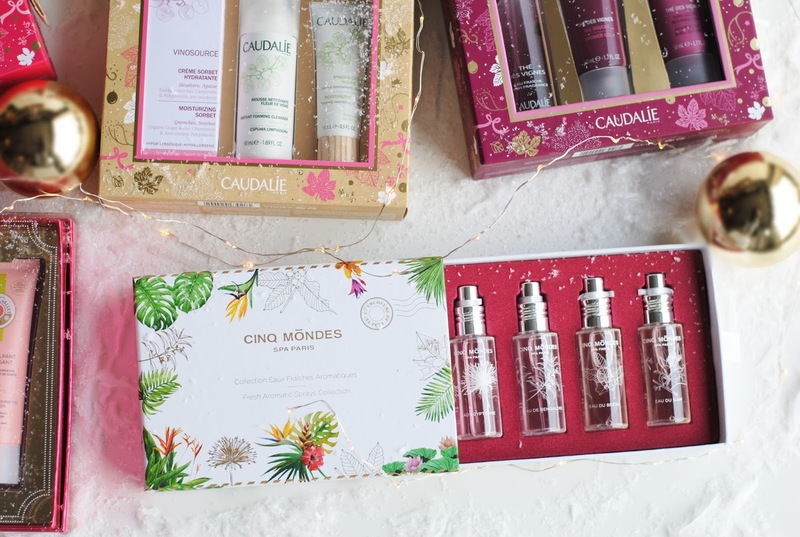 Caudalie had so many sets this Christmas. They're around €30 and they are so worth it. Two of the sets I had contained a perfume, a shower gel and a body lotion, the classic giftset setup. One in Thé des Vignes and one in Rose de Vigne. 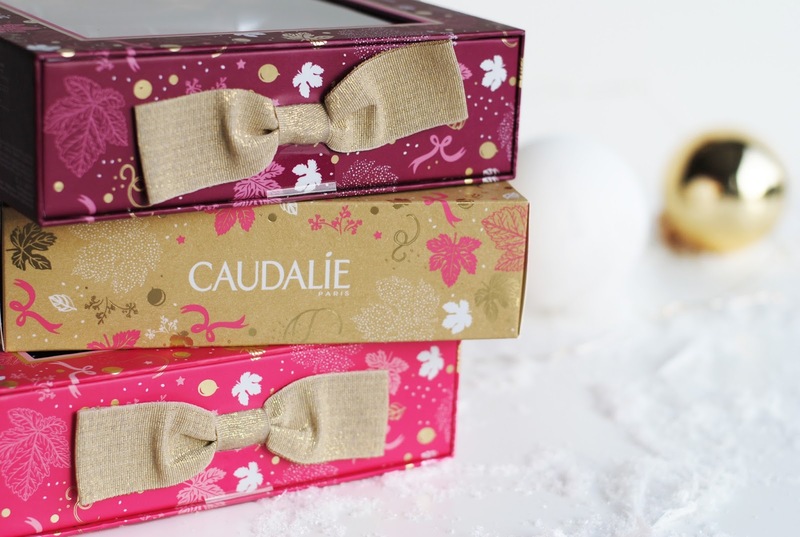 The other giftbox contained a Vinosource moisturizer, a foaming cleanser and one of Caudalie's famous masks. 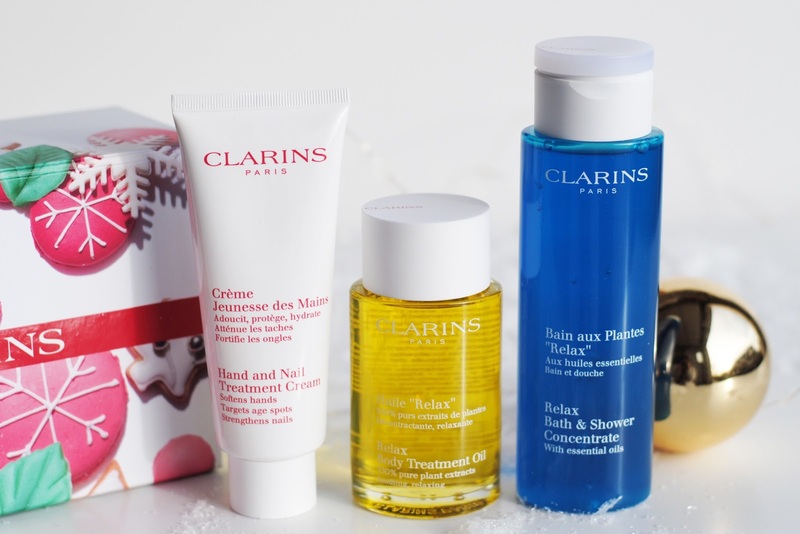 A nice set to give to a skincare addict or to get to know the brands products. 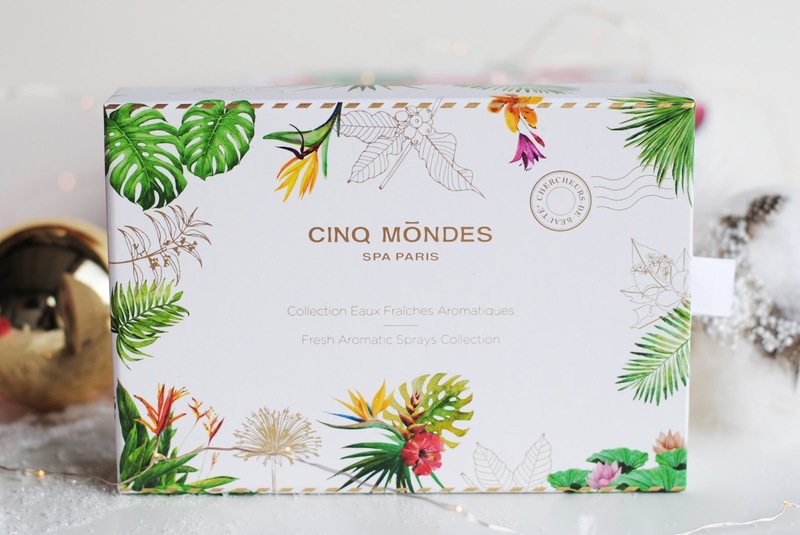 This Cinq Mondes set isn't specifically for Christmas, but it's soooo pretty! I'm in love with the packaging. 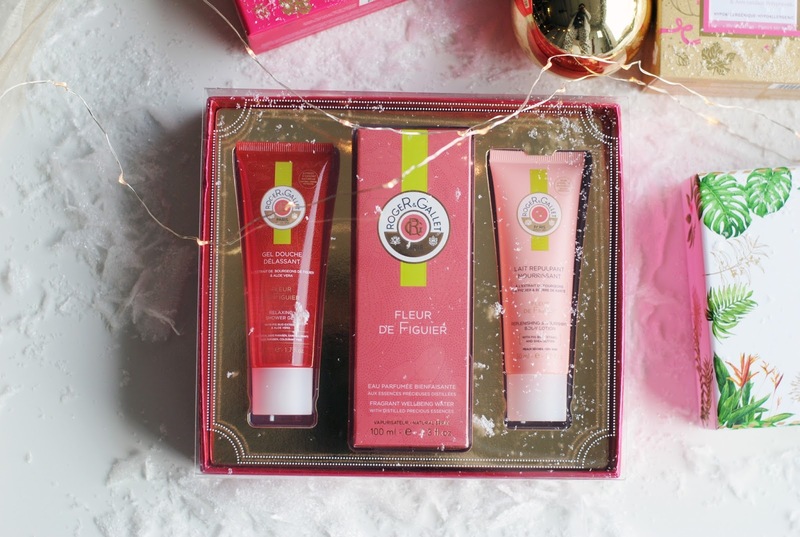 The set contains 4 travel size bottles of their fragrances, so this also makes a perfect gift. I'm pretty new to this brand, but it's already a staple in my bathroom. 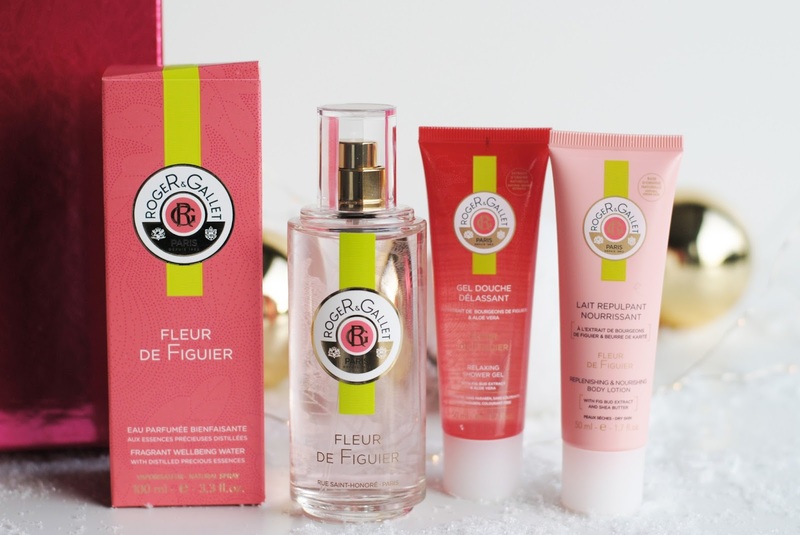 Their 'Fleur de Figuier' giftset contains a fragrance, shower gel and body lotion, again that classic giftset setup - but it just works. It also comes in a pretty reusable box. 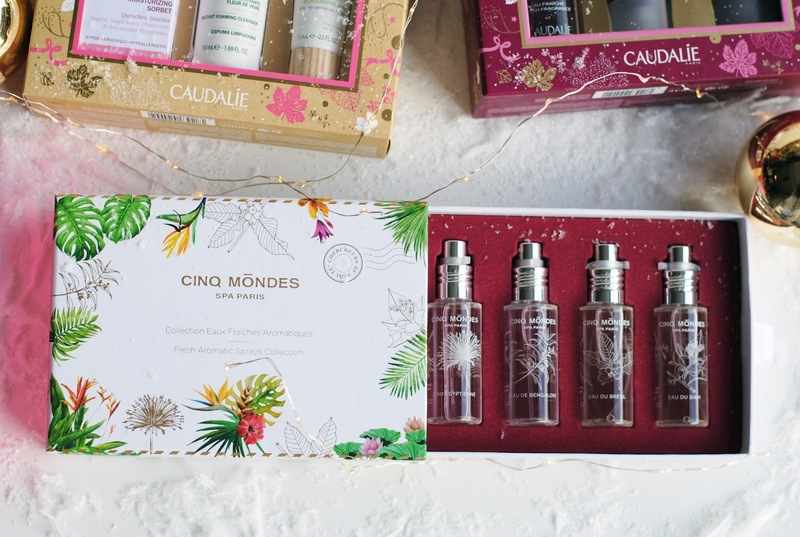 And of course, you can always just pick out products yourself and put them in a nice giftbox. 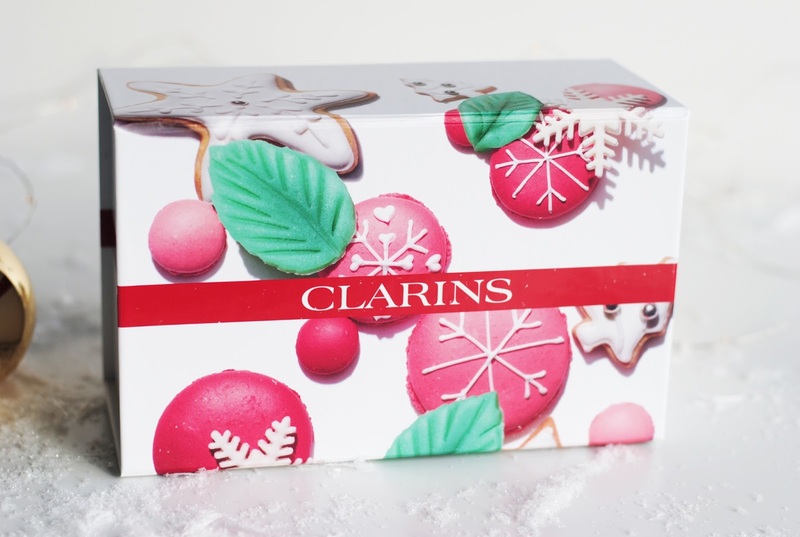 That's what Clarins did, a pretty box with hand cream, body oil and bath & shower concentrate. A perfect trio where you just can't go wrong with. I know this post is a little late, but I still wanted to put it up. 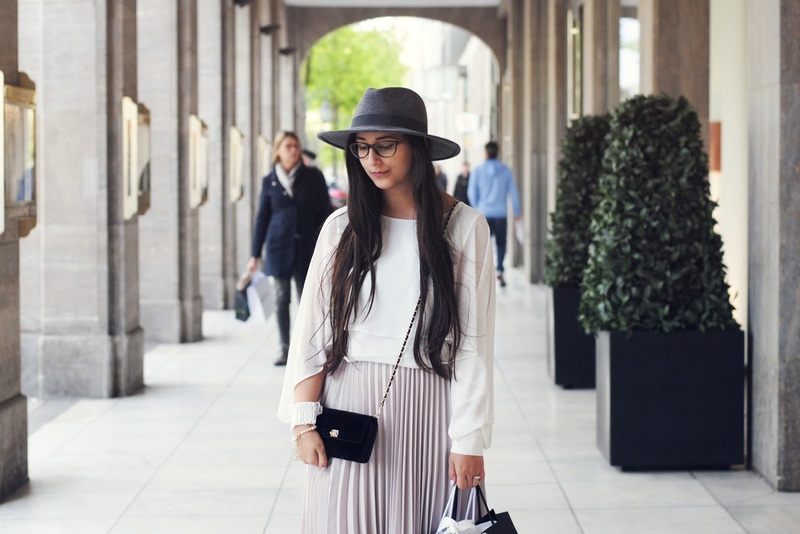 I'm trying to blog every day again, I can't promise anything, but I'll try! Did you enjoy the holidays? The pictures are so beautiful! 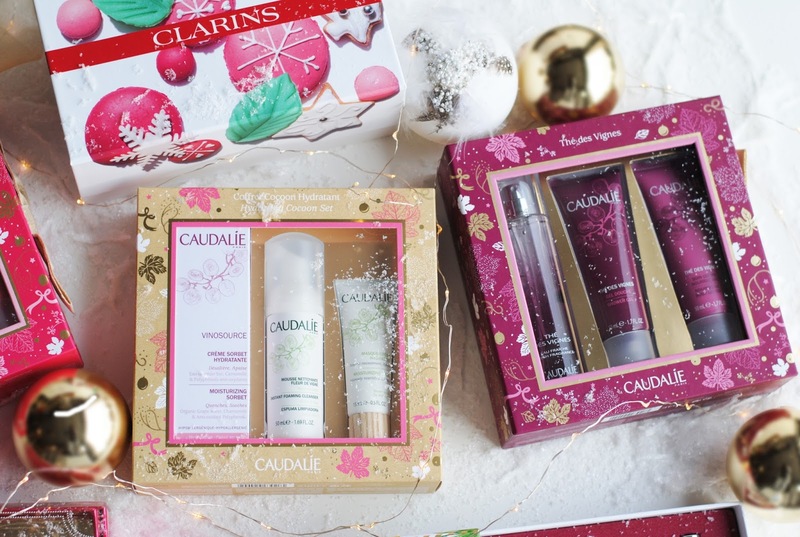 And all these gift sets look really great, the Caudalie sets are always good presents to give someone. Such lovely sets. 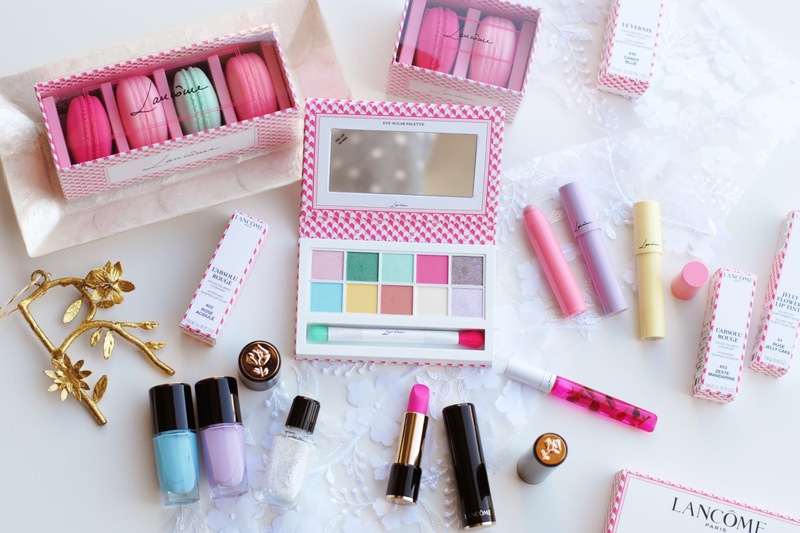 I always enjoy gifting beauty sets like these.